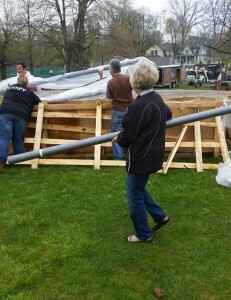 The pieces arrived over the winter and were stored away for warmer weather. 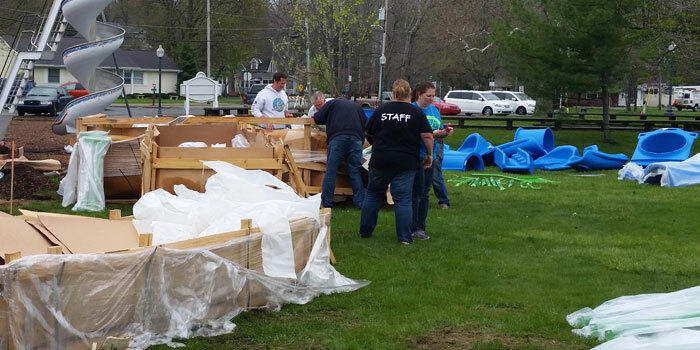 This morning, Friday, April 22, volunteers began unpacking the large wooden crates holding the pieces that will make up Winona Lake’s all-accessible playground. 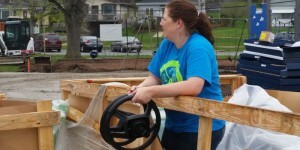 Holly Hummitch of the Winona Lake Parks Department noted this is phase 2.1 of the overall project, which started last year with installation of the Splash Pad. 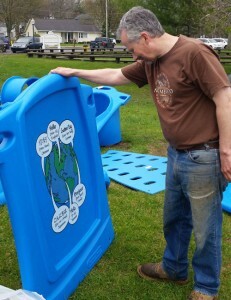 The official community build event takes place all day tomorrow, Saturday, April 23, and continues through the weekend until the playground is complete. Anyone who wishes to help out can do so either day or both days. Additional information is available via the Limitless Park Facebook page or on the Winona Lake website. Jonathan Bergh reads a panel that has “hello” written in several languages. Volunteers unpack and sort pieces. Shelby Beam unloads two more pieces. 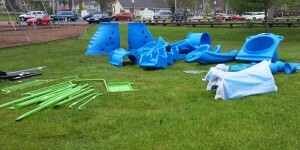 Sections of playground await assembly. 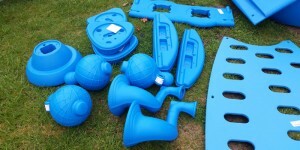 Pieces and embellishments will complete the playground.